Summer in Michigan blends warm, sunny days with cool nights – perfect for enjoying indoor-outdoor living in the Elements 2390 Plan by Allen Edwin Homes. 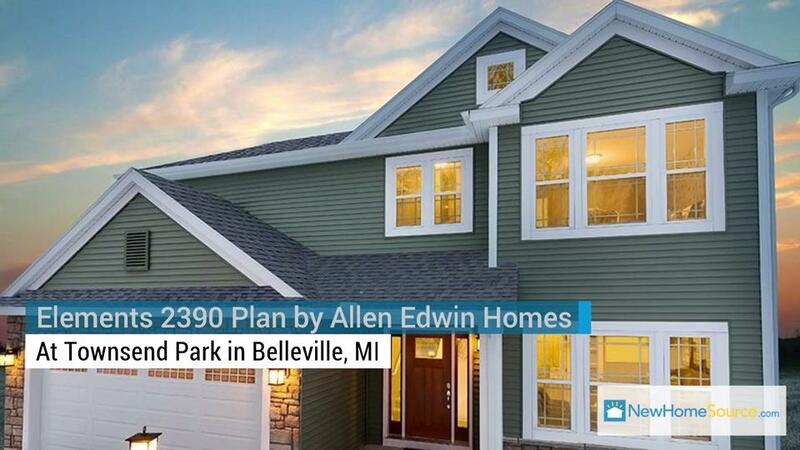 Located at Townsend Park in Belleville, Mich., the Elements 2390 plan is an expansive three-bedroom, two-and-a-half bath home that’s both functional and inviting. Either as your main home or as your vacation home, this beachy chic floor plan is ideal for enjoying local waterways. Invite family or friends to enjoy some time here. A spacious game room means plenty of time for game nights, movies and more. This flex space can also be used as an additional bedroom with a walk-in closet. And, because the home is about 45 minutes from Lake Erie’s beaches, a mudroom to keep sand at bay is a necessary – and included – feature. The home’s three bedrooms are located on the second level, as is the laundry room, making it convenient to wrangle clothes from all family members (and guests). For more entertaining space, a basement can be completed with an optional rec room, bedroom, and full bath. As mentioned above, Townsend Park is close to Michigan’s many waterways, including Lake Erie and Lake St. Clair. That means a day at the beach is just a short drive away. But the water is not the only thing to enjoy. Residents will have easy access to state parks and other open space, proximity to plenty of golf courses for family members and friends who want to hit the links, proximity to top-rated schools and to shopping and dining. Plus, it’s an easy commute to Ann Arbor, Detroit, and Livonia, so you won’t have to go far to enjoy the big city. Want to see more photos of this beautiful home? You can learn more about the Elements 2390 Plan, the Townsend Park community where it’s located, and see more homes by Allen Edwin Homes on NewHomeSource.